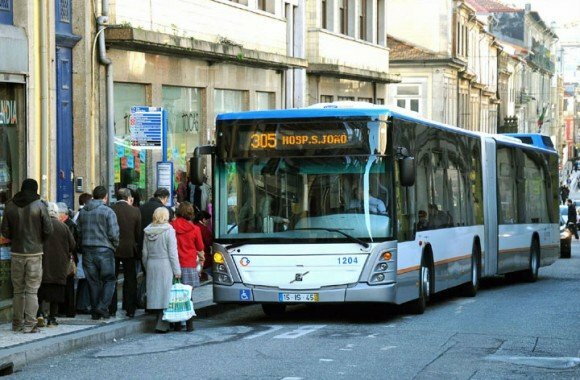 Travelling by bus in Porto is a budget option and a good choice if you are moving inside or around the city borders and want to see the entire journey from the window, noticing every detail on every street. 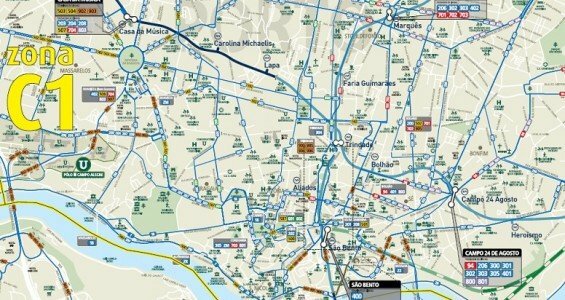 The Porto bus network (STCP) works generally well and reaches almost everywhere, more than the Metro lines. The buses are modern and comfortable, with air-conditioned, digital information boards and many run on natural gas. If you’re planning to move around by bus and metro, you should definitely buy a “Andante”. 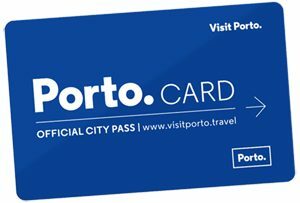 For one, two or infinite trips, this rechargeable paper card will be your best friend during your stay in Porto. You can charge it with single or multiple journeys, saving money instead of paying each journey inside the bus. You can buy and charge the Andante Card almost everywhere in the city. At the airport, metro and train stations, some bus stops, kiosks, Pay Shop agents (look for the red flags on newspaper shops, buildings or coffees) and many other places. 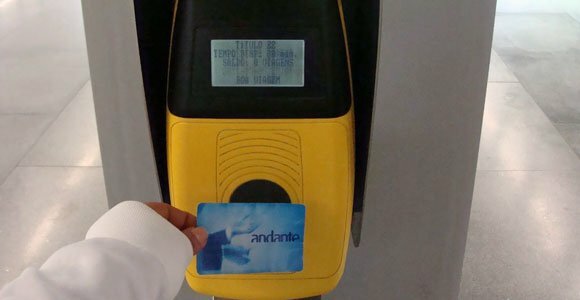 Buy the Andante card, top it up and validate before each journey. You will find this machines inside the buses. One single journey will cost you 1,80€ if purchased inside the bus. The “Andante” card will cost you 0,50€ (you just need to buy one per person for your stay) plus 1,20€ for each added journey. If you buy 10 journeys you will get one for free. Outside of the city central limits the fare goes up a bit. Please check the Andante website for all fares. For 24 or 72 nonstop hours you can buy “Andante Tour Ticket” – especially for tourists. The first option will cost you 7€ and the second one 15€. These cards allow you to take unlimited journeys for that time period and are not rechargeable. Inside the bus you can only pay with cash but in stations and other places you can also use your visa card. 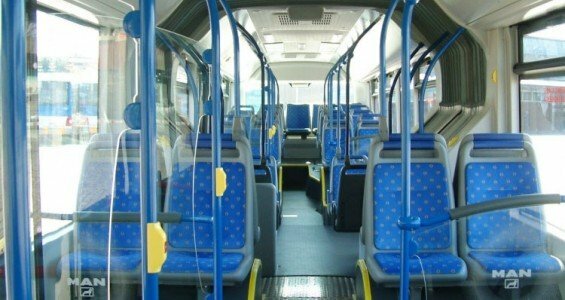 Inside a regular Porto bus. After buying the card and top it up it with journeys you’re ready to travel by bus. There are many stops all over the city and each one has a big board with the timetable and itinerary of the buses that stops there. 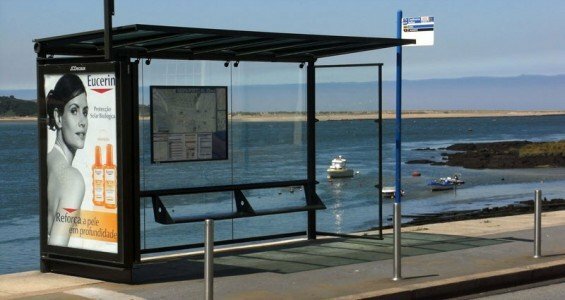 Each bus is “codified” by a 3-digit sign and the first number is related with the destination place: 2 is for West Porto, 3 for North, 4 for East, 5 for Matosinhos, 6 for Maia, 7 for Valongo, 8 for Gondomar and 9 for Vila Nova de Gaia. In case of doubts, consult the bus stop itinerary, which indicates all the stops during your route. During the night period (from around midnight to 6 am) buses are codified with the “M” letter and the network is less extended. Night or day, bicycles aren’t allowed. A bus stop by the river. Usually, central and high traffic stops have an electronic display indicating the estimated arrival time for your bus. You can also send a paid SMS to a number of the stop and seconds after you’ll receive that information by text. 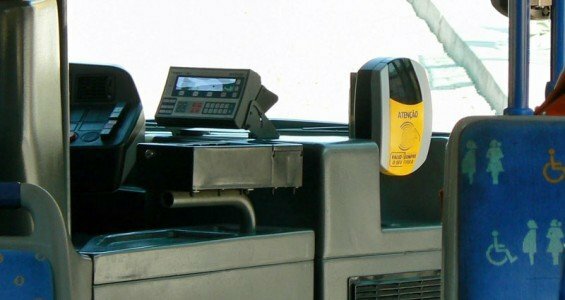 Once you get inside the bus it’s time to validate your “Andante” by passing it in front of the machine, activating the magnetic system and charging you for the ride. During a period of one hour that journey is active and you can change to other bus, metro or train without being charged again, although you do have to pass the card through the machine when you change transport. Inside the bus, you have to pass the Andante card by the yellow machine to validate your trip. – Journeys are free for children under 4. Porto bus route map. Click on the image to download. I am coming to Porto the 27. of August this year, its a bit early to ask questions, however. I would like to go to The Sanctuary of Fatima in one day namely the 28. of August. Is that possible. And what chose do I have? Hi Anni. It is possible yes. We don´t run any tours but I believe it would be very easy for you to find them online. 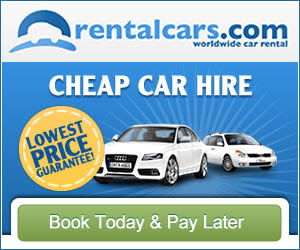 Another great option would be to rent a car and go by your own. It’s about 200km and highway all the way. I have found the buses in Porto to be very unreliable. They often do not conform to the published schedule, and even though I use an App which is supposed to show accurate times, I often find myself waiting at bus stops for buses that simply do not show up. Yep, i feel you. I guess that happens a bit “everywhere”, since buses are always subject to traffic delays, etc. Metro schedule is a lot more reliable. Thanks for your input! “you do have to pass the card through the machine when you change transport” – are you sure I won’t lose another journey when I change buses within 1h allocated time? Yep, pretty sure! Thats how they can control if you are within the 1 hour or not. Could you imagine if each person had to keep track of their time? Thanks André :-) Seems a perfect solution then. Just one last question, what if I travell outside of the Zone I bought the pass for? Say, my Andante’s for Z1, but a final destination is Z2. My guess is I need to pay on the bus from the beginning of Z2 and hope it’s possible to do it without the need to get off in search for ticket machine. Nope. You shouldnt do that. You should buy Z2 at the start od the trip. I would say you need around 5 hours. Probabbly the best bet is to take bus from Nazaré to Leiria and from Leira to Porto.